September 7, 2006 | In Caribou County, Idaho, about 38 miles north of the Utah border, in a place engulfed by farmers and fisherman, a construction team is well into its work on the Cove Dam. But the workers aren't repairing. This time the dump trucks, backhoes and hard-hat soldiers are destroying. This time Cove Dam is coming down. After 89 years on the Bear River, Cove Dam is being removed and the river is being restored to its natural state, or at least as close as Pacificorp Inc., the owners of the dam, can get it. "I think we have pretty high standards as far as our expectations," said Eve Davies, lead hydro-environmental analyst for Pacificorp. "The intent is that the water be in the river." Cove Dam has been producing power for Pacificorp since 1917, at least until three years ago, when the dam was shut down because of aging problems with the flume, the pipe that carries water to the generator. With Cove out of operation and Pacificorp needing to renew its operation license, the Federal Energy Regulatory Commission (FERC) wanted a study done examining several things including costs of repair, fish passage and the possibility of removing the dam. In the end, the company decided removal of the dam was the best option for everyone. "The Cove story is a balance story," said Mark Stenberg, an environmental coordinator at Pacificorp. "It's a party agreement for all stock holders and eventually everyone was comfortable." The news of Cove's decommission was more than comfortable for many environmentalists, fisherman and canoeers in the area. Removal of the dam opens up miles of river that was previously unavailable for recreational activities. "We should be bringing champagne," said Bryan Dixon, a Cache Valley resident and member of Audubon, a society concerned with the conservation and restoration of natural ecosystems. 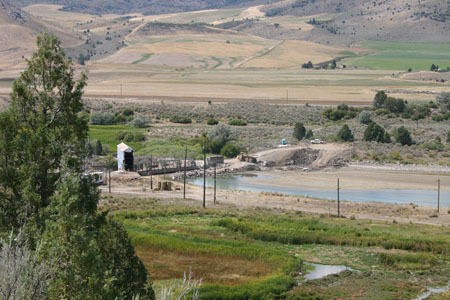 Deconstruction of the dam will take place in several stages. It started with the removal of the flume and the construction of a temporary dam called a cofferdam. The coffer will dewater the main dam on the top and the bottom so it can be removed. After removal, a hole will be cut in the coffer and the river will be lead back into its natural course and some of the built-up sediment will be released down the river. Then the cofferdam will then be removed and the newly exposed sediment from the reserve area will be seeded and landscaped with shrubs and naturally occurring plants to hold it in place. 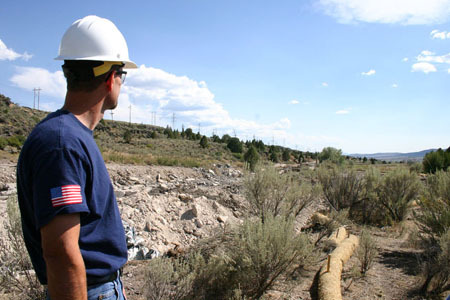 Once decommission is completed and the area has been restored, Pacificorp will spend several years monitoring the area to make sure no problems arise. The flume has already been taken down and the cofferdam has been put in place. Removal of the dam is scheduled to start next week. The whole decommission of Cove Dam is estimated to take about $3 million. Along with that $3 million, $465,000 have been set aside by Pacifcorp for projects to improve the surrounding land, water quality in the river, and habitats for local wildlife. Some of these projects include fencing projects to keep cattle from grazing on the river, which Davies said can significantly improve the area. 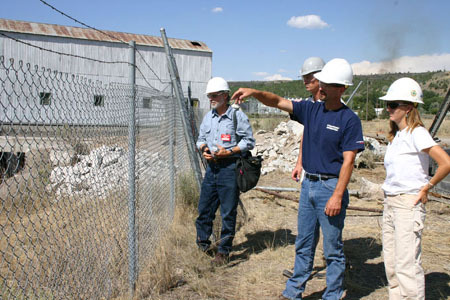 "[Pacificorp] seem to have the belief they should take as good of care of the environment as they can," Dixon said. "Pacificorp projects cause a lot of environmental damage, but when they decide to do a project with environmental benefits, they do it right." Although for many Cove disappearing is a cause for celebration, there are some who are sad to see it go. In a dam built with mule teams and steam engines, there is a lot of history built up, not to mention jobs of those who have been maintaining and operating the dam. Pacificorp representatives would not give an exact number, but they said "there were jobs lost." Removing Cove is "an emotional thing," Davies said. All of the dam and most of the power plant, which is several miles down river, is being removed. However, the power plant building itself is being left to preserve a little bit of Cove's history.